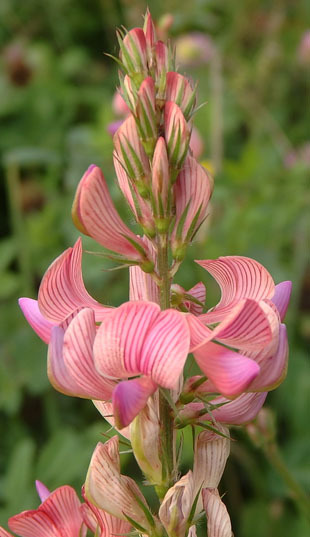 Native Sainfoin is found in the South. in the North and the far Southwest. 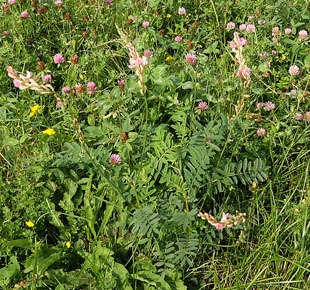 Native Sainfoin grows in undisturbed chalk grassland. a fodder crop in the 1600s and grown until the 1800s. 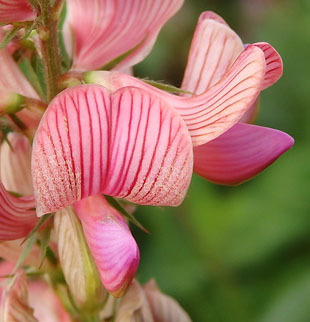 Sainfoin is a nitrogen-fixing, perennial herb growing in 2 forms. Native Sainfoin is short and almost prostrate. 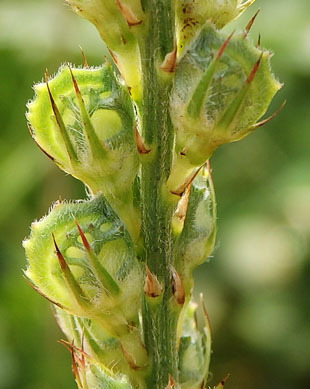 Flowers are in pyramid-shaped, spikes. Each flower is up to 14mm and is pink with red stripes. The pods are round, crinkly and hairy and up to 8mm. They contain only one seed. 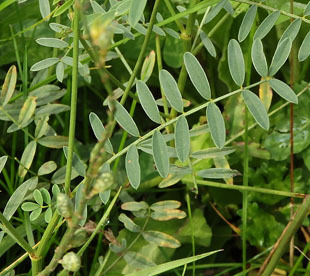 Leaves are made up of up to 12 pairs of leaflets. Leaflets are up to 3cm.